The latest Nanominer 1.1.0 by Nanopool comes with support for the new CryptoNight R algorithm used after the recent Monero (XMR) fork, though for now it is only supported on Nvidia GPUs. 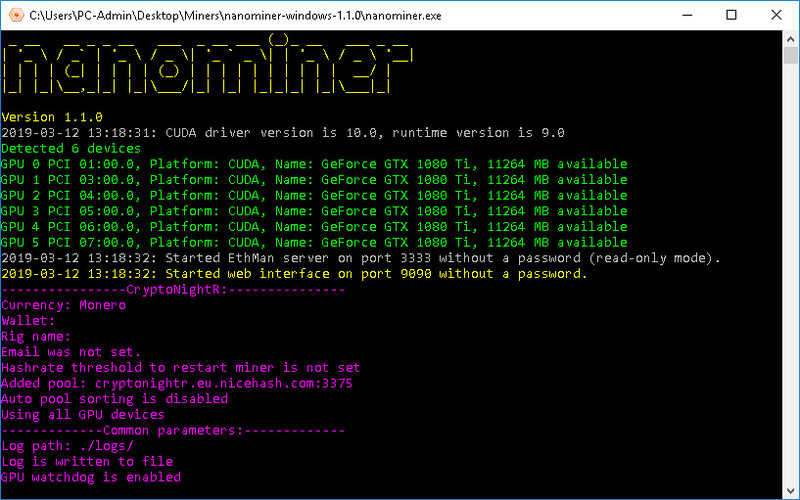 Nanominer supports Ethash, CryptoNight (v6, v7, v8, R), Ubqhash on GPU and and RandomHash/PASC on CPU at the same time (dual mining mode), though only CryptoNight R and Ethash are supported on Nvidia GPUs, the rest of the algorithms are AMD only. 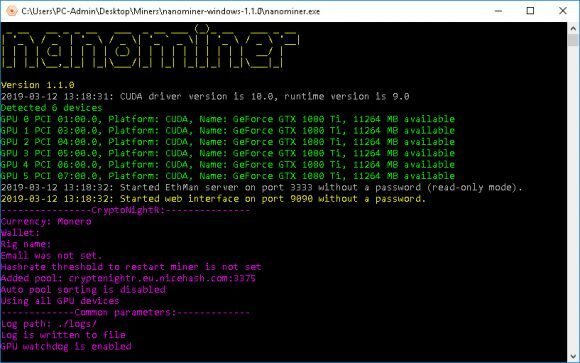 Performance wise the Nanominer 1.1.0 is faster on GTX 1080 Ti according on our tests compared to what the latest XMR-Stak 2.10.0 is delivering and the difference is not small… about 80 hashes more with the Nanominer for about 840+ H/s mining CryptoNight R.
Nanominer is available for both Linux and Windows, it is a closed source miner that has a 1% developer fee for the GPU supported algorithms and 3% for RandomHash on CPU. The Nanominer miner does work on all pools for the supported algorithms and is not limited only to the mining pools provided by Nanopool, so you are not limited to use only their services.